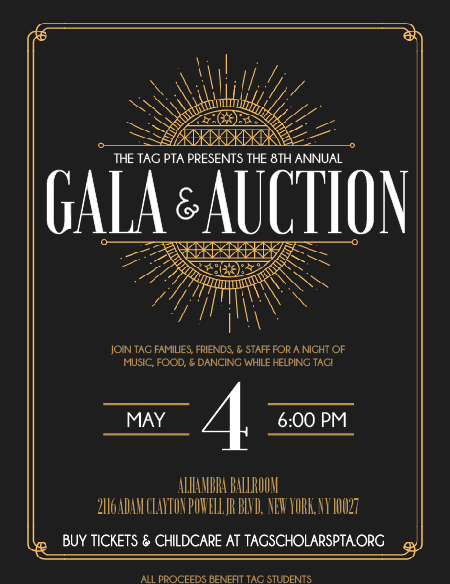 ​Every year TAG PTA hosts a GALA BENEFIT & SILENT AUCTION to raise funds for our students. the grand and historic Alhambra Ballroom on 2116 Adam Clayton Powell Jr Blvd, New York, NY 10027. Feel free to buy multiple! Babysitting tickets will be sold online until April 28th or until it sells out. After that, please contact parent Rasheedah Harris HERE.